The research revolves around the amalgamation of a series of issues and trends that are faced today. The ever-growing pace of life leads to a continuously changing, multilayered requirements and desires in our homes, resulting spatial inadequacy within our habitation environments. 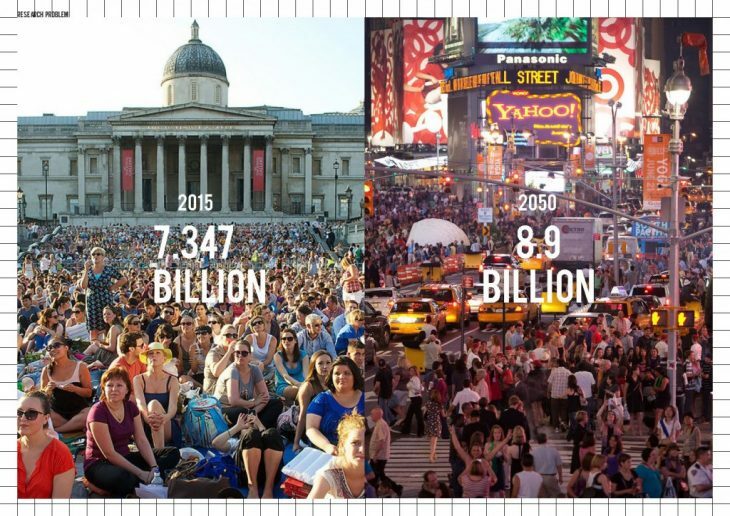 Predicted figures of population growth around the world calls for the accommodation of an additional 1.6 billion people by 2050. Due to factors revolving quality of life and opportunities, the majority of this increase will need to allocated within urban areas or cities. 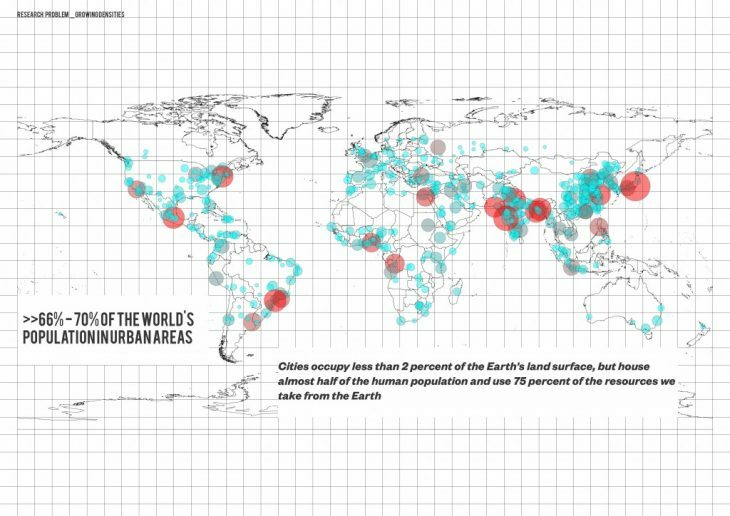 As it is today, cities are very complex and organic structures that manages, fosters and optimises societal productivity. Progress at most time, comes with a cost. We often neglect and take for granted the amount of resources consumed to maintain our particular lifestyle within the urban environment. A prime example of this, and a topic that needs to redefined in the accommodation of increasing population, is embedded within the complete AEC( Architecture, Engineering and Construction) Industry Process. A broad and abstracted perspective of the process would often start from Analysis, whereby needs or opportunities are identified, where a solution is needed. For the majority of housing projects, the need and opportunity lies in the creation of habitation environments. The process continues in the Design phase, where solutions are tested and experimented and at some moment, decided upon to implement in the selected context. Only then will the Physical manifestation of the project start to begin. Once the structures are complete and after many compliance tests conducted by the governing body, new residents are able to finally inhabit their new homes. The model described follows a somewhat linear progression and this process is highly time consuming. 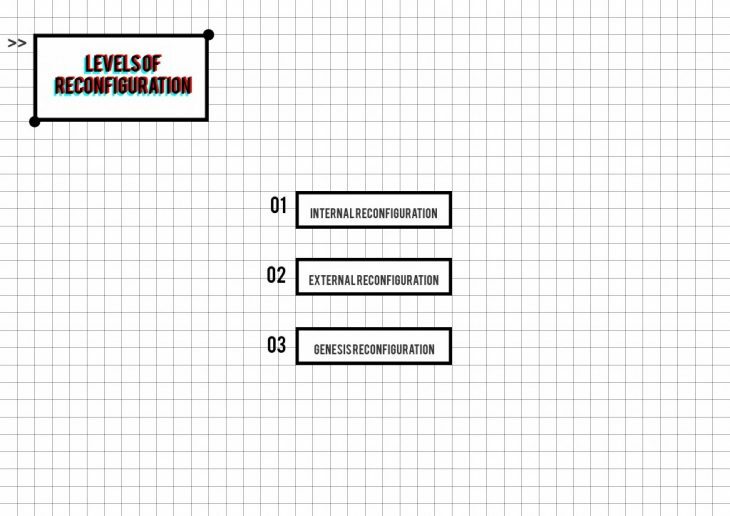 Examples of failures in speculation can be shown in the cities mentioned above, where the information and knowledge obtained within the analysis phase has become redundant by the time the physical manifestation is completed, leading to a set of ghost towns. Minor inefficiencies and ineffectiveness throughout the entire process builds upon another, and the amalgamation of the time consumed adds to the current issue. 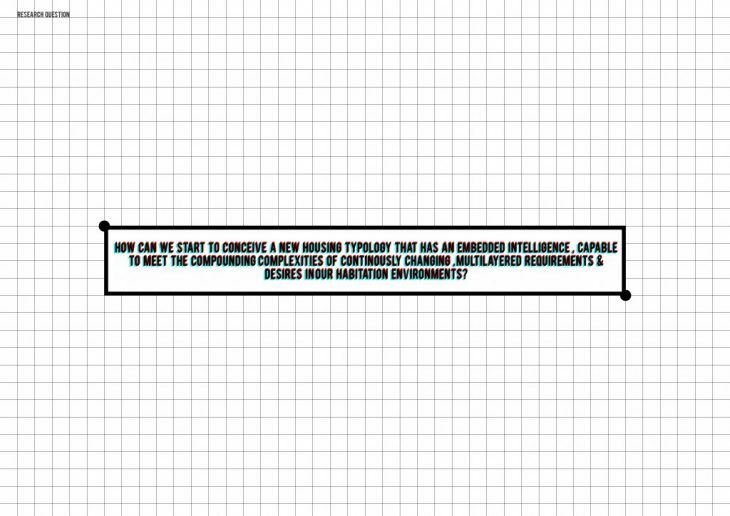 If we are to continually implement this model in the planning of our new inhabitants, the imminent destruction of our world will be a certainty. At the same time, there have been many old and new schemas revolving around the sharing economy that is currently taking the world by storm. New applications such as Airbnb allows homeowners to decide and take advantage of spaces/rooms that are not currently used to their maximum potential. 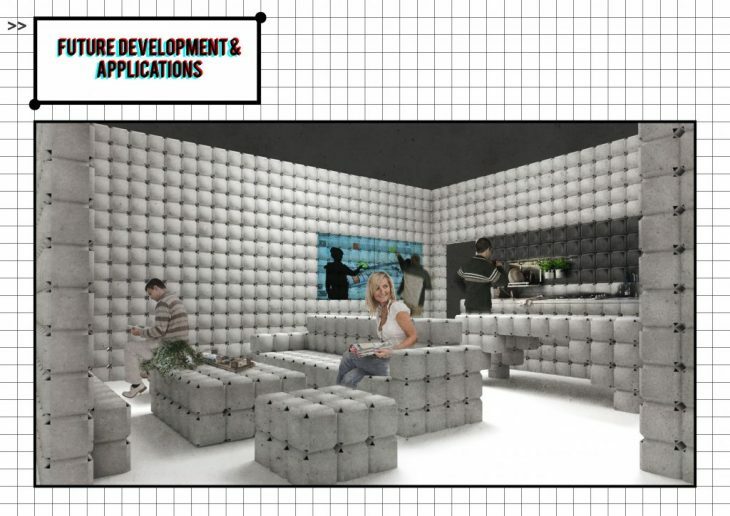 The platform would allow them to monetise the ineffective use of space within their homes. This concept has been around since the 1960s. 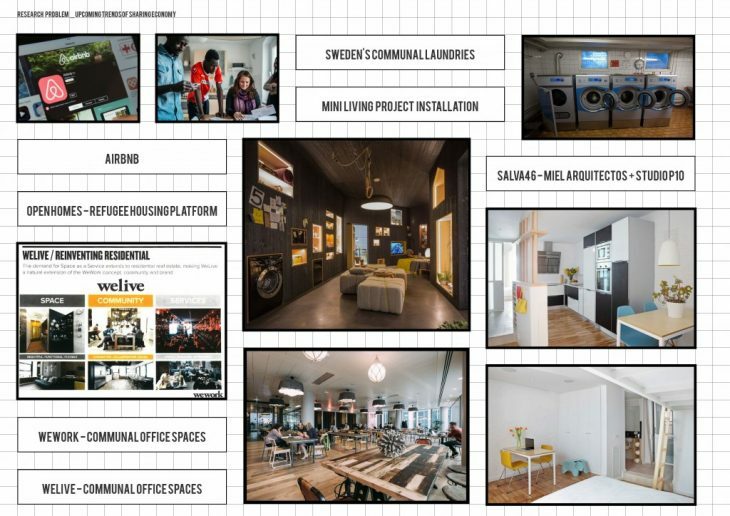 The majority of Sweden’s apartments do not have a personal laundry room within individual units, instead a collective room usually within the basement of the building to host all the machinery and equipment needed to serve the entire building. Other applications of the sharing economy can also be found in co working spaces. Companies such a WeWork allows groups or individuals to rent spaces according to the respective spatial and timely needs. 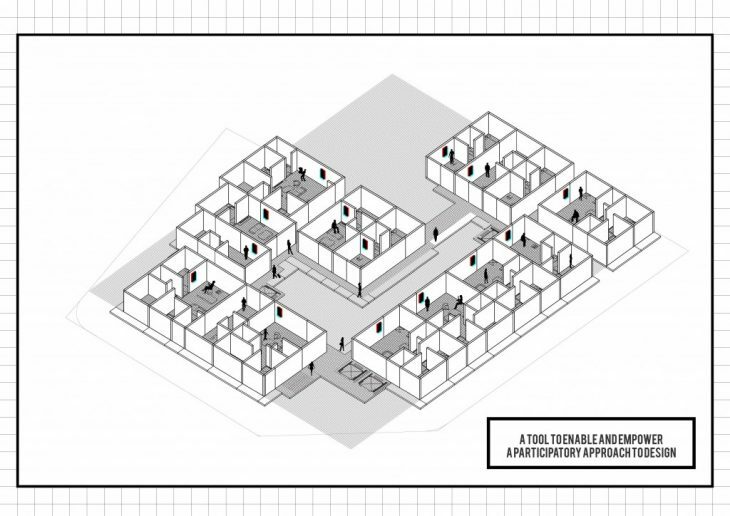 Slowly but surely, new typologies of habitation are emerging from the benefits of the sharing economy. Therefore, the discussion and point of departure for the project revolves around the question below. What is needed is the rethinking of the conventional, linear AEC Industry process mentioned above. 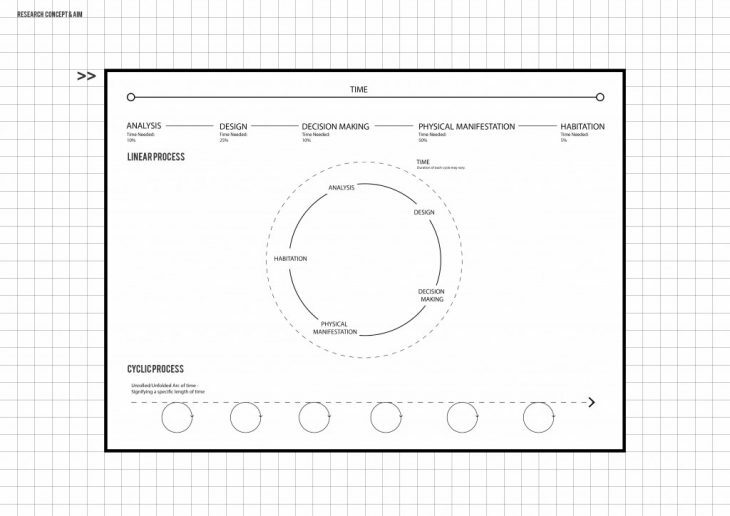 We need to start implementing a more cyclical approach towards our processes. 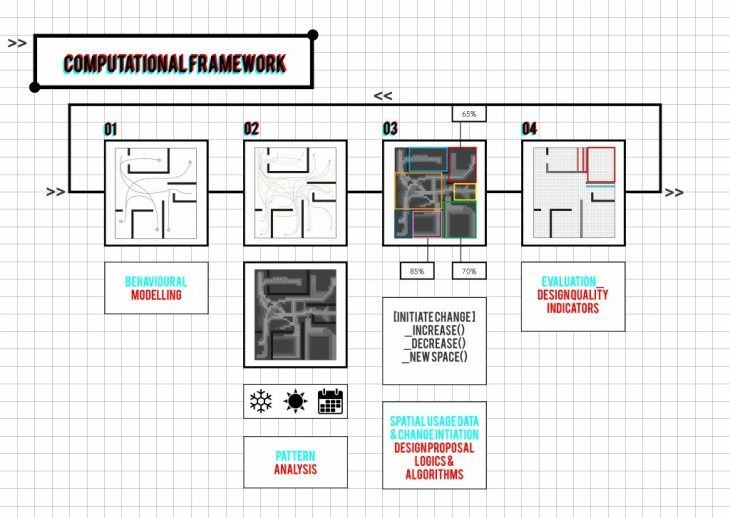 The proposed model above, uses a series of loops to constantly evaluate what we desire and what we need, continuously analysing our habitation context and feeding information into the design of the habitation structures. The feedback loop is ran for the duration and lifespan of the structure, and will engage in a perpetual process of dynamic optimisation. What is proposed is not a foreign concept. Many others have tried to implement similar systems and logics within architectural projects since the 1960s, most prominently the work of Cedric Price, Nicholas Negroponte, John and Julia Frazer to name a few. 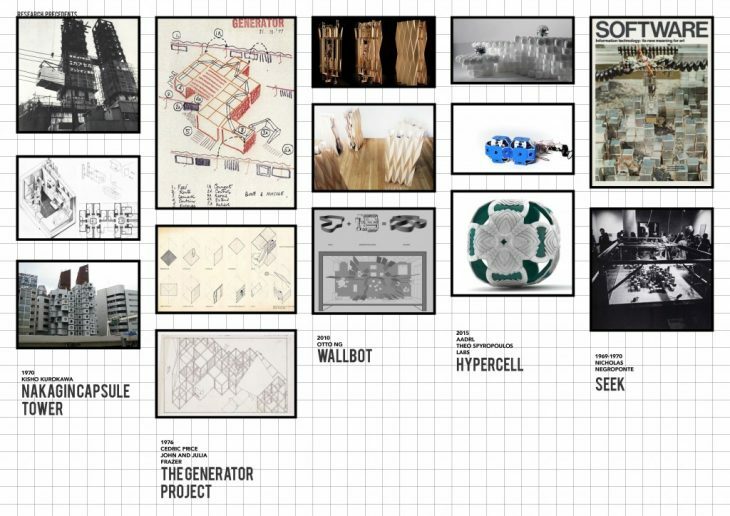 These projects have proposed a set of systems that would allow the built environment to adapt to our constantly changing needs. My contribution lies within the second order cybernetics aspect to these adaptive systems, an attempt to create a brain or control system that would regulate and manage all the changes required. 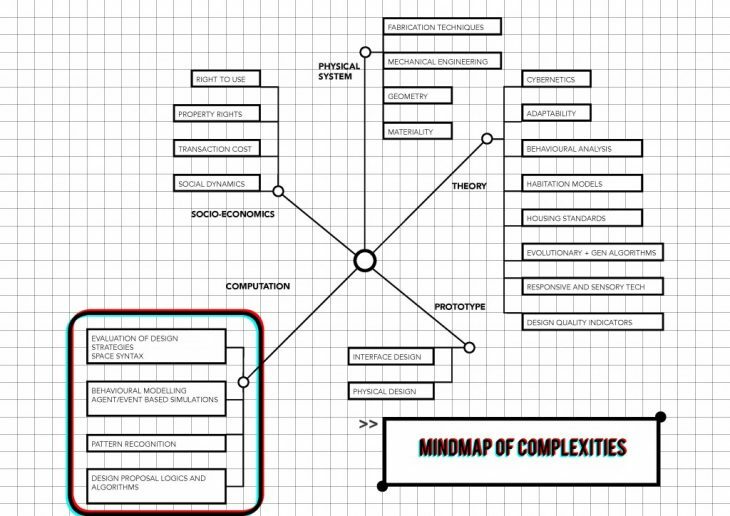 To begin such an immense task, the required considerations, topics and factors for the success of the system are mapped out. 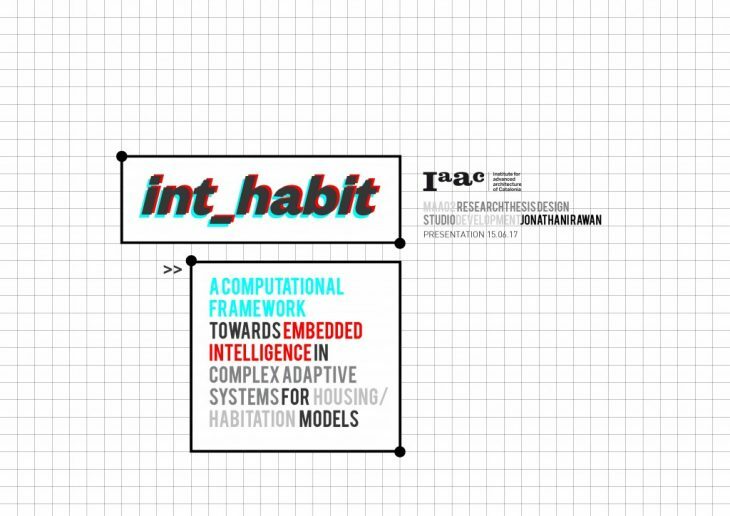 Due to the limitations in time for this particular thesis development, the progression will only focus on the computational aspect of the project, taking on topics such a behavioural modelling, pattern recognition, a design logic algorithm and evaluation loop. To ensure a successful implementation, a workflow and framework was conceived to set out the required steps within the process. A case study site was selected for all initial works, tests and experiments. 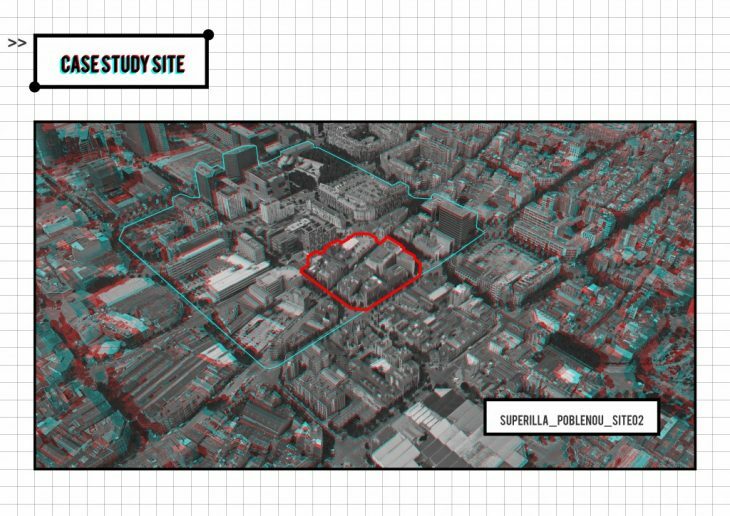 The site chosen is the new assigned superilla or supermanzana district in poblenou. 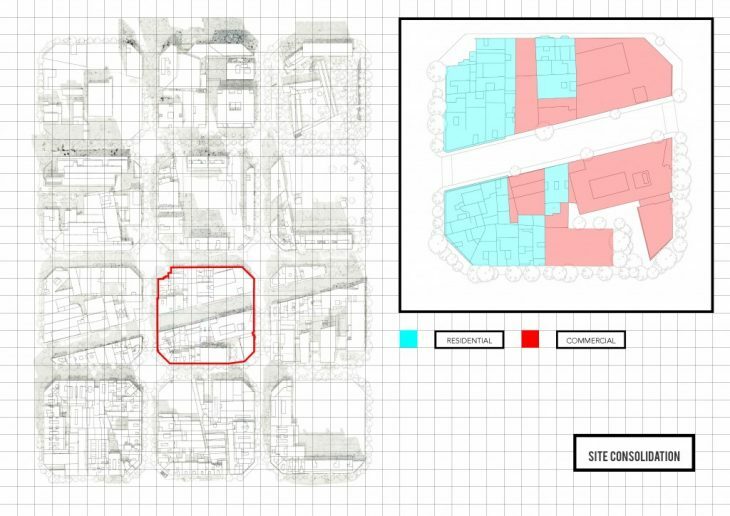 This district has been proposed to counter Barcelona’s constant dependencies on roads, re-envisioning them for potential urban, public open spaces. The project can maybe be seen as a potential solution or proposal for the effective use of the new, rediscovered spaces. What is needed is a method for a machine to recognise space, a pair of virtual eyes. The proposal would revolve around a new method, a multidimensional storage of numbers to signify different architectural elements. An abstracted grid with a predetermined resolution is overlayed on any given space. Each cell is given an identity and have the potential store information, in this case, integers, within each identity. Once this is established, we can start to assign a particular number to a particular typology of architectural elements, i.e. 0 as Floor plate, 1 as Walls, -1 as voids. 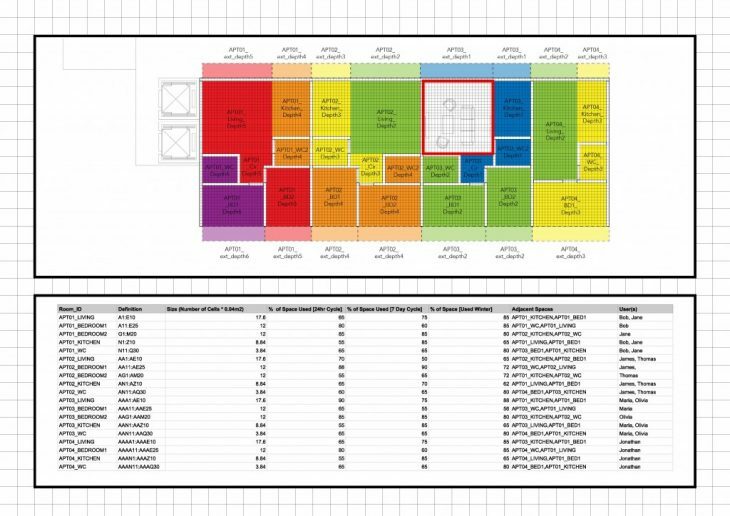 Delimitation of space can then be defined in a database where spatial boundaries are stored i.e APT01_LivingRooom = A1-E10, as well as various other attributes that describe the room or range of cells, such as % of space used within certain times, or certain users belonging to the space. 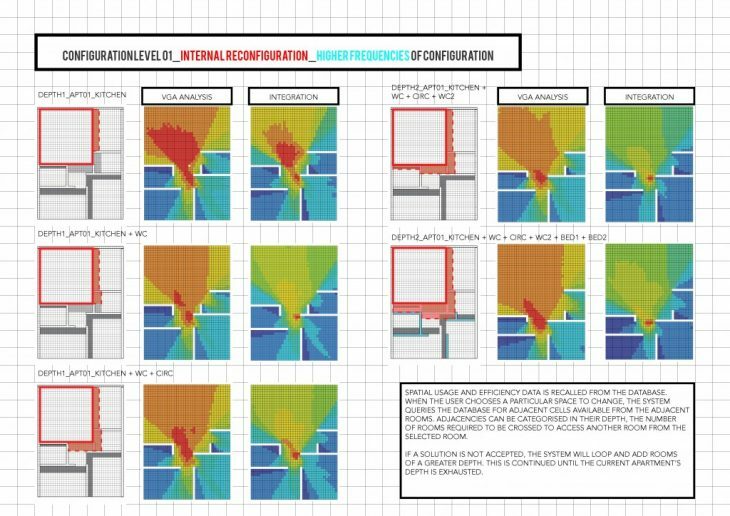 To ensure that the system does not propose inhabitable or unusable spaces, a set of configurational rules were developed. 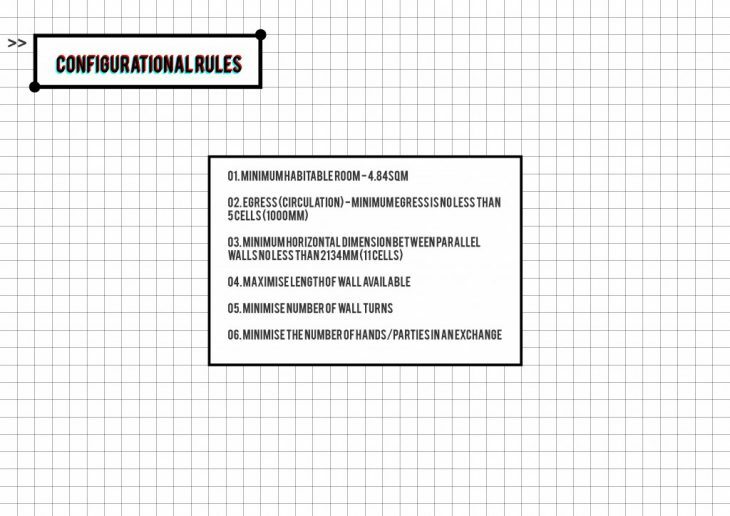 These rules have been derived from the International building Code as standards. 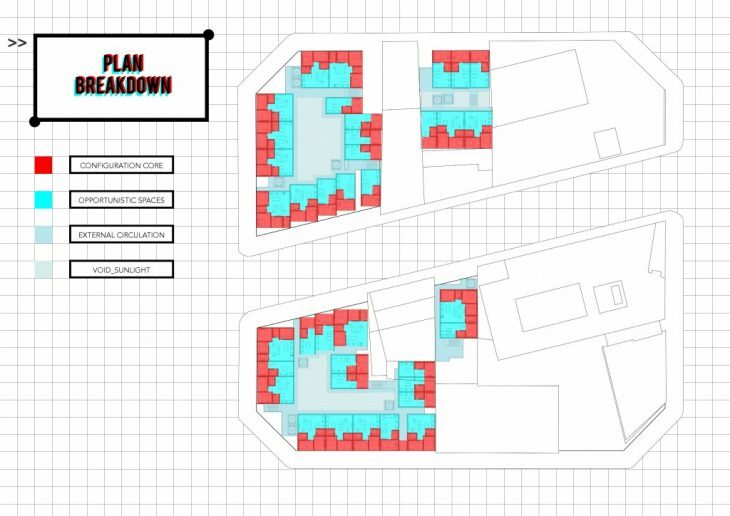 A set of residential unit Typologies were developed to give initial users a “default” unit to live in. 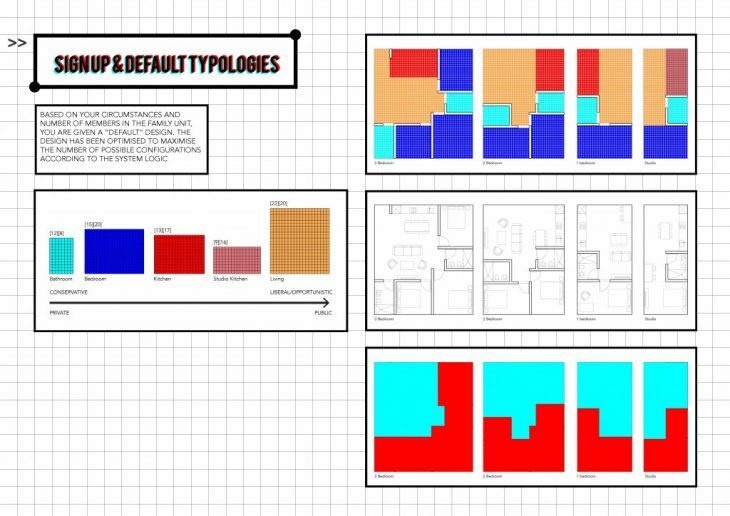 The design of the “default” attempts to maximise the potential of reconfiguration by creating a core around more conservative rooms such as bedrooms or toilets. The behavioural modelling system conceived in Thesis Research Development part 2 linked above has been transferred and developed in Unity3D. Patterns of Living are then captured within the grid of cells. 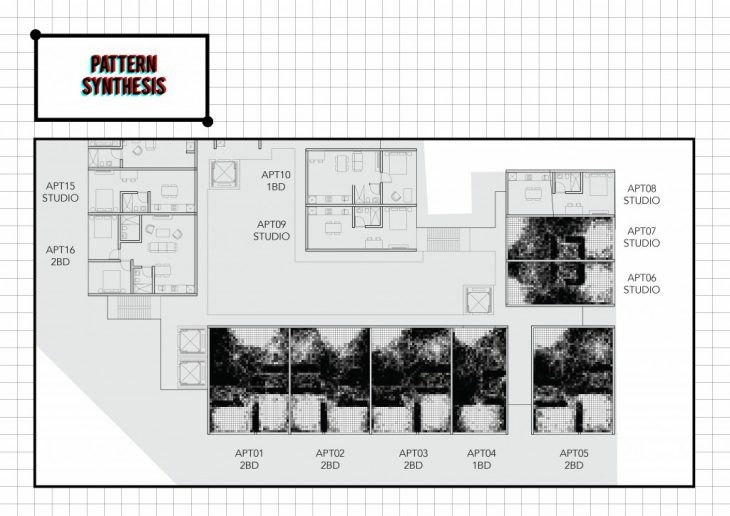 Areas in white signify a greater frequency of use while black signifies inefficient use of space. 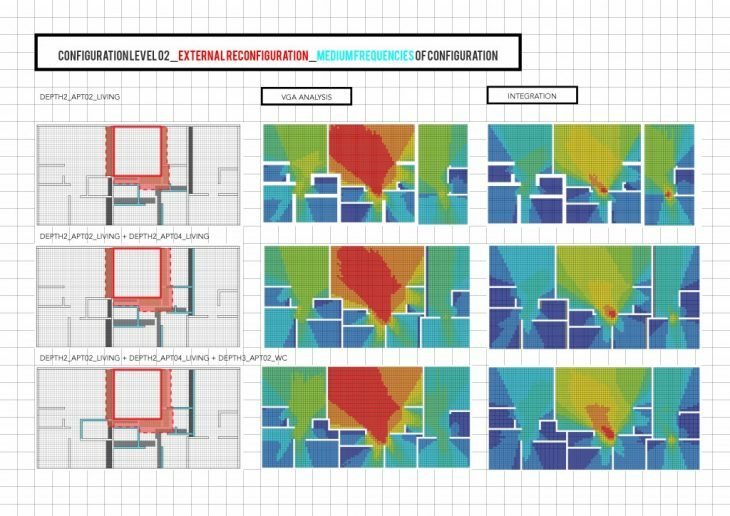 These patterns can then be converted into a series of “stock” spatial options or credits, where you can initiate a negotiation process with your surrounding neighbours. The design Logic theory is based on the attributes of database table that has been filled during occupation. The graph below is a representation of a J-graph or step depth, mapping the adjacencies of spaces from the selected space. 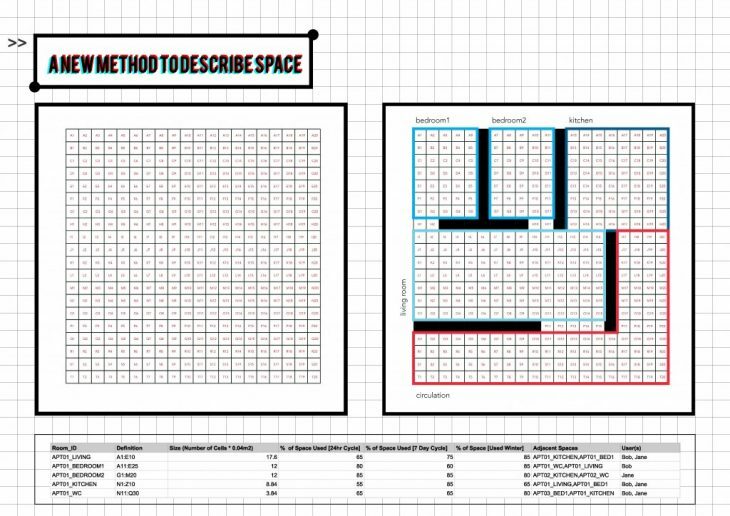 Spaces that are directly next to the selected space are considered as having a depth of 1. 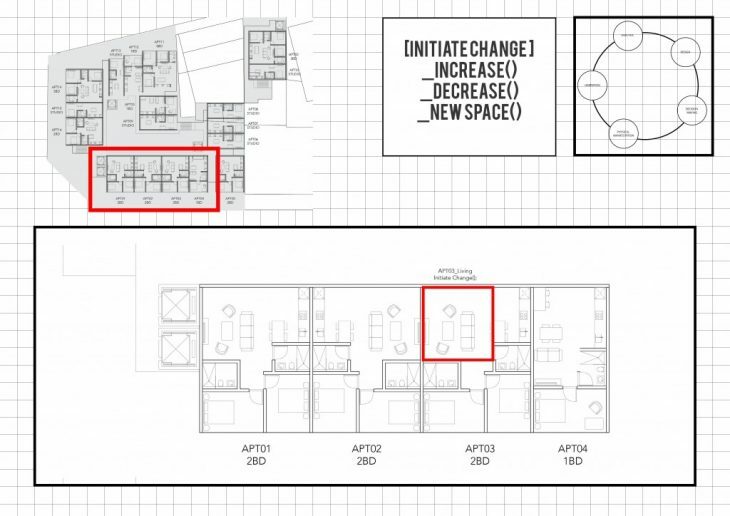 The number increases when the number of “steps” required to reach a specific room from the selected room increases. number of cells that can be given. BREACHING EXISTING APARTMENT BOUNDARY LIMITS. The tool devised to visualise all the changes and processes described above is an Augmented Reality App built using Vuforia and Unity3D. 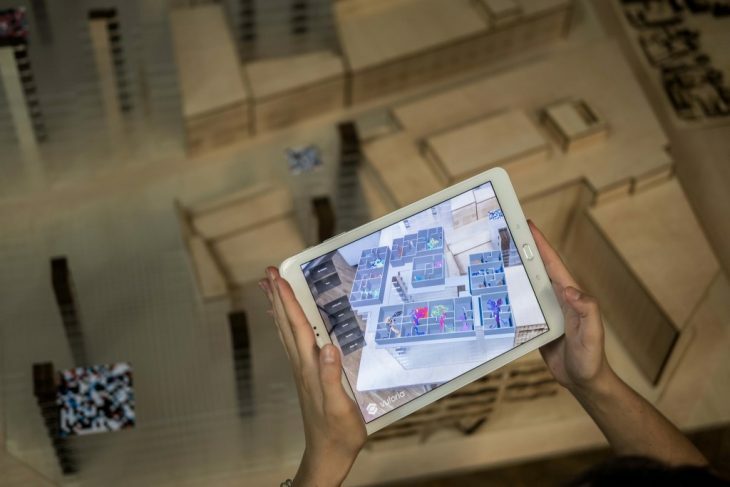 A demonstrator table model signifying the spaces are built in physical realm, with simulations and changes viewed from the tablet application. 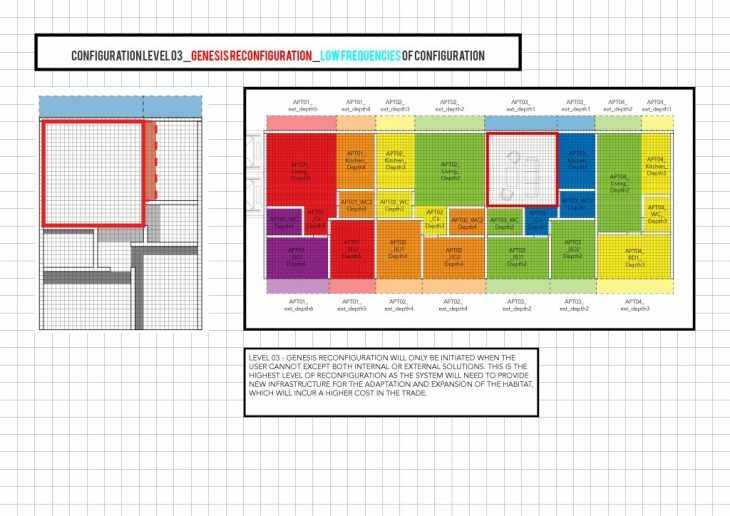 What the project envisions is An embedded interface for future homes – where constantly changing and adaptive spaces allows inhabitants to be free in the range of activities otherwise delimited by the extents of static spatial enclosures in residential units. i.e. 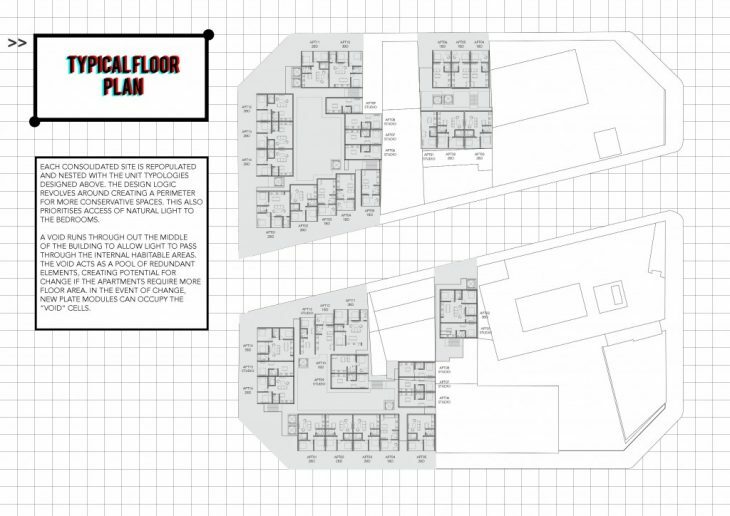 hosting a party of 50 in 12sqm will not be in an issue if the room can expand to 50sqm. 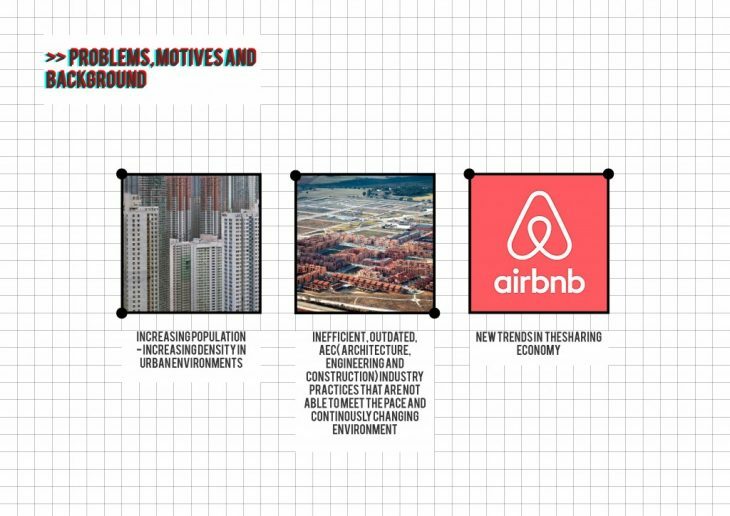 The proposed model questions notions around the need of ownership in future housing typologies. 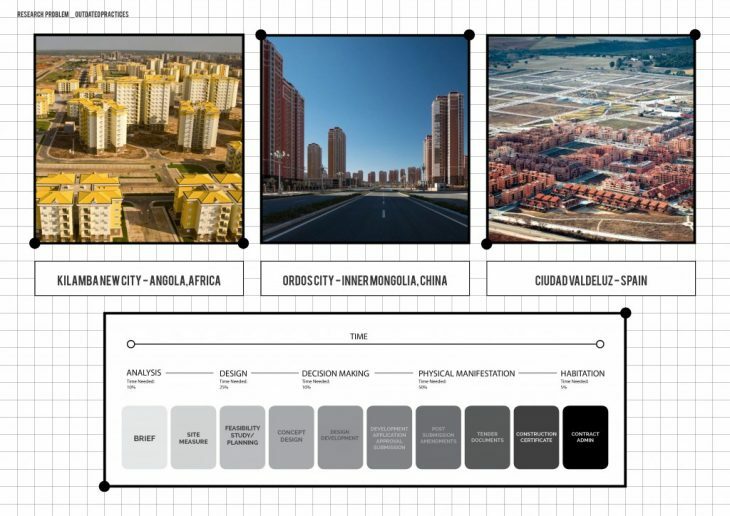 It also aims to act as a participatory design process involving increased community involvement through negotiation of space, questioning notions of ownership to combat the constant need to build new, inefficient residential buildings to accommodate higher density. A greater understanding of how we behave and inhabit our home empowers us to enhance our quality of life. Recordings of our behaviour can be self evaluated and self reflected to inform future decisions.